With so many destinations to chose from, why do Scuba Diving Magazine readers award Bonaire so many top placements in their surveys year after year? 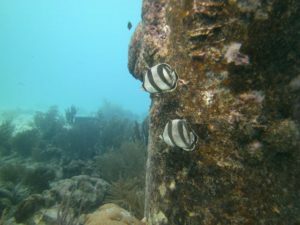 In the 2018 Awards, the island received FIVE #1 Ratings, proving the island’s dominance as the premiere shore dive destination in the Caribbean and around the world. For the twenty-fifth consecutive year, Bonaire has taken first place for the #1 Shore Diving Destination. Other #1 rankings included Healthiest Marine Environment, Best Macro Diving, Best Beginner Diving and Best Free Diving! The #2 rankings include Best Underwater Photography and Best Visibility, Best Advanced Diving, and Best Snorkeling. Third place rankings include the Best Overall Dive Destination and Best Technical Diving. Our thanks to everyone who cast their vote and rated their dive experiences on Bonaire. 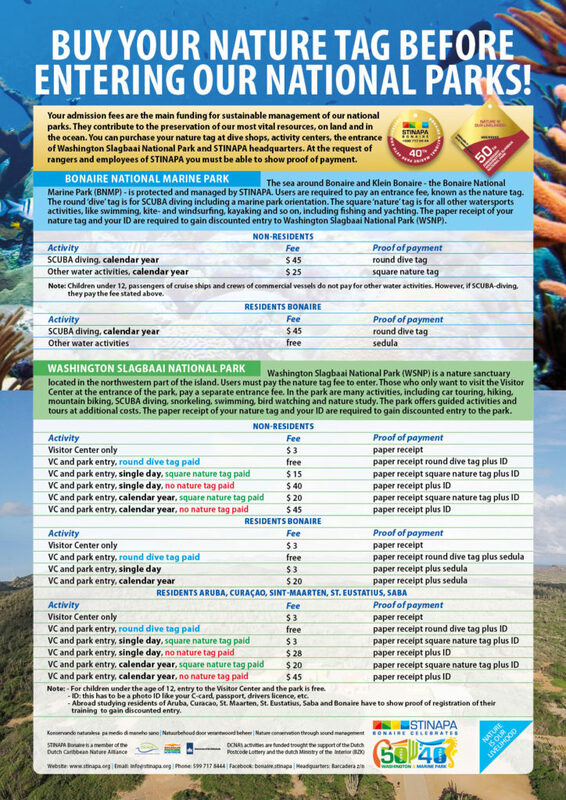 You can view all of this years results at Scuba Diving magazine on line or in the January/February 2018 issue of Scuba Diving magazine. The sea around Bonaire and Klein Bonaire – the Bonaire National Marine Park (BNMP) – is protected and managed by STINAPA. Users are required to pay an entrance fee, known as the nature tag. Your fees are the main funding for sustainable management of our national parks. They contribute to the preservation of our most vital resources, on land and in the ocean. The nature tag can be purchased on Island with every diveshop. 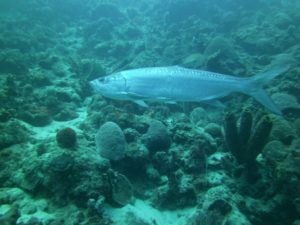 There are so many fish in our waters, that surveys conducted by the Reef Environmental Education Foundation have actually listed 7 of Bonaire’s dive sites in their top 10 in terms of species richness in the Caribbean. Even more impressive, Bari Reef, in front of Den Laman, has the honor of the ranking #1 with a total of 405 species to date, and more being discovered every year. We guarantee you’ll want to visit this reef more than once, and we highly recommend you try it as a dawn and night dive. 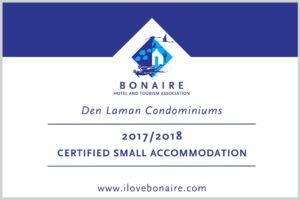 The remaining “top ten” sites on Bonaire, along with some fifty more, are all accessible from the shoreline along Bonaire’s leeward coast. In fact, no other destination comes close to offering as many or as varied shore diving options as Bonaire. Shore diving offers divers complete freedom to select not only the dive site to be visited, but the time to depart and the profile to dive. Bonaire’s fringing reef runs parallel to shore, making navigation simple, and enabling divers to adventure off in either direction from any one site. Dive Friends Bonaire, a PADI 5 Star dive operation located on property, offers easy day and night access via their private pier to the Bari Reef, Den Laman’s house reef. Air and Nitrox tanks are available in 80 and 63 cft. Tanks are available 24/7 from both the pier location and at the drive-up location adjacent to their gear locker room and the Den Laman parking area. The Dive Friends Bonaire facilities make it easy dive on property or off at any of the 50+ shore dive sites running the length of Bonaires leeward coast. Once you arrive simply gear up, pull on your booties, wade in to chest deep water, slip on your fins and relax on your short surface swim (50 yards/meters of less) toward the drop off. Once descended, simply take your landmark (often the mooring buoy) make your dive, and on the way back, slowly head toward shore while enjoying the shallows where you’re likely to find pods of squid and long nose needle fish hovering just below the surface, or the yellow headed jaw fish hiding in the coral rubble. Boat diving adds another dimension to your dive experience on Bonaire, giving you the opportunity to visit sites on nearby Klein Bonaire where the topography will be noticeably different, or other sites not accessible from shore. Dive Friends Bonaire offers two-tank boat morning dives departing daily, at 9:00 and one-tank afternoon boat dives (with a minimum of 6 divers) departing at 2:00 pm . Follow the dive guide or explore on your own, the choice is yours. If you are not yet certified or are looking for continuing education please click here for information on Courses offered by Dive Friends Bonaire. taking a Shore Diving Specialty Course with Dive Friends Bonaire. 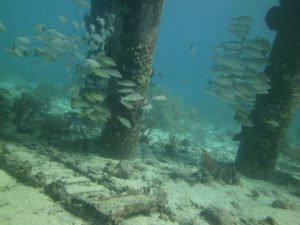 Shore diving is quite different from boat diving, so in this course we teach you everything that you need to know to safely conduct shore dives. You’ll learn how to pick your dive sites (with your complimentary copy of Bonaire Shore Diving Made Easy), plan your dives, choose entry and exit points, navigate and problem-solve. At the end of the course you will earn a PADI specialty card and be certified to confidently conduct shore dives with a buddy. diving on Nitrox or becoming Nitrox certified. On Bonaire, getting your permanent Nitrox Certification is convenient, practical, and inexpensive. Once you receive your Nitrox certification, our dive operator will be happy to upgrade your dive package to include the use of Nitrox 32% at no additional charge.